Dan Ferrell writes about do-it-yourself car maintenance and repair. He has certifications in automation and control technology. From squeaky brakes to shaky steering wheels, brake problems can reveal themselves in different ways: Strange noises, vibrations, or even a sudden change in brake pedal behavior. Other times the warnings aren't too obvious. Although more reliable than ever before, the modern automobile brake system has more sophisticated components and more parts, which may cause trouble because of wear, lack of maintenance or for no apparent reason. And sometimes, noise or abnormal functioning is the first sign of brake problems. Use the following list of common brake issues to identify the sign that more closely resembles yours, check the potential source problem, and fix it as soon as possible. Who knows, you may find out it's actually something simple you can tackle yourself with the help of your vehicle repair manual. However, even if you don't plan on fixing the brakes yourself, it's good to know what those signs mean when they appear. 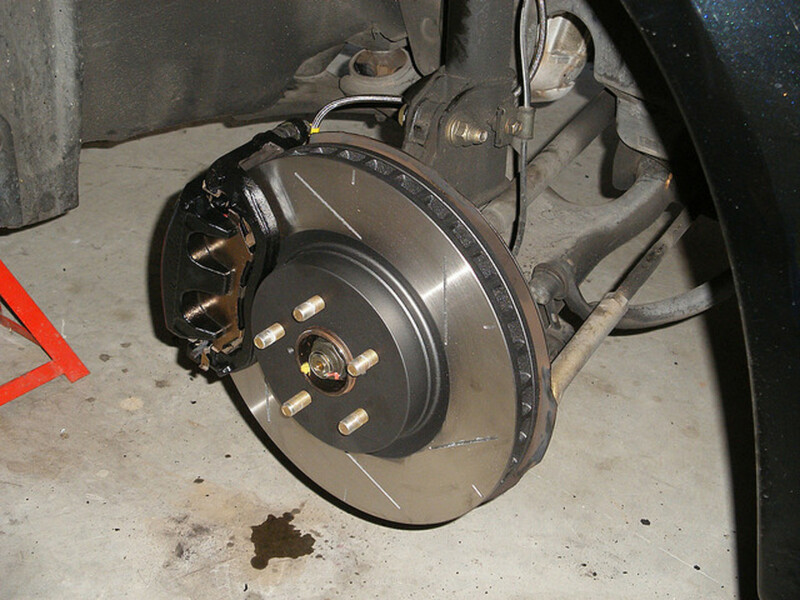 It'll help you further investigate the issue and make an informed decision to repair your brakes. So let's go over the next two sections and see which symptom(s) resemble more closely your problem. 1. "My Car Pulls to One Side"
This happens when your car doesn't maintain a straight line but veers to the side as you brake. 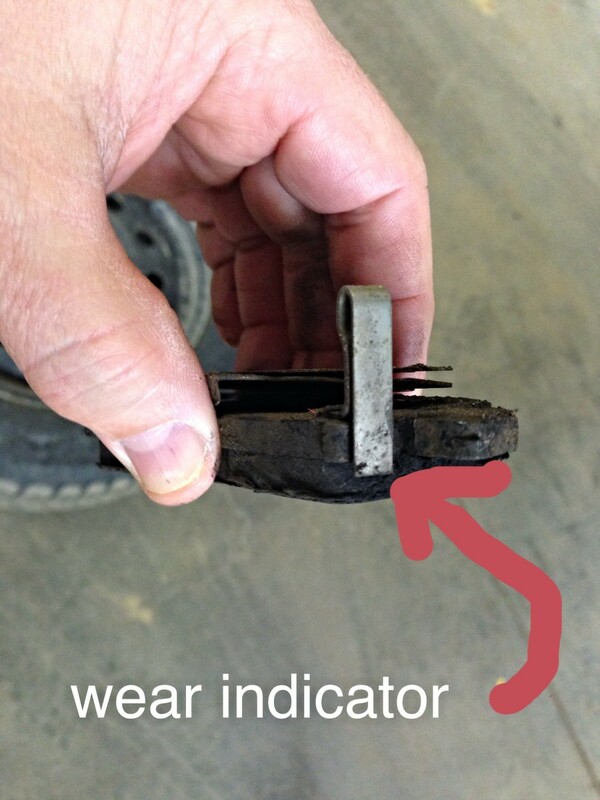 Usually, this symptom indicates a problem with a brake assembly on one of the wheels. This could mean a stuck brake caliper, frozen wheel cylinder piston (rear brake assembly), contaminated brake pad, faulty brake adjuster, or brake fluid leak. However, a car in need of front wheel alignment may show the same symptom. 2. "My Car Brakes Too Hard"
You can tell there is something wrong in the brake system when you press the brake pedal and your car almost comes to a complete halt as if you'd braked too hard. Several areas in the brake system can be the cause of the problem: anywhere from a contaminated brake rotor, a leak in the system that is affecting the rotor, worn out pads, a failed metering valve or wheel brake. 3. "My Brakes are Noisy"
Your brakes can also alert you to potential problems by producing all kinds of noises: Squeaking, squealing, grinding, and other similar noises. Look for worn out pads, contaminated pad linings, missing or loose parts in the front or rear brake assembly, even improperly installed brakes. The most common noise is the grinding, metal-to-metal noise. Some brake pads come with a spring-steel tab that scratches the rotor's surface producing a screeching noise when the pad's lining has worn sufficiently enough. This acts as a warning to inform the driver it's time for new brake pads. If your pads don't have this warning tab, the lining material has worn out, causing the backing plate to rub against the rotor. In either case, you need to replace the pads and probably the rotor as well. 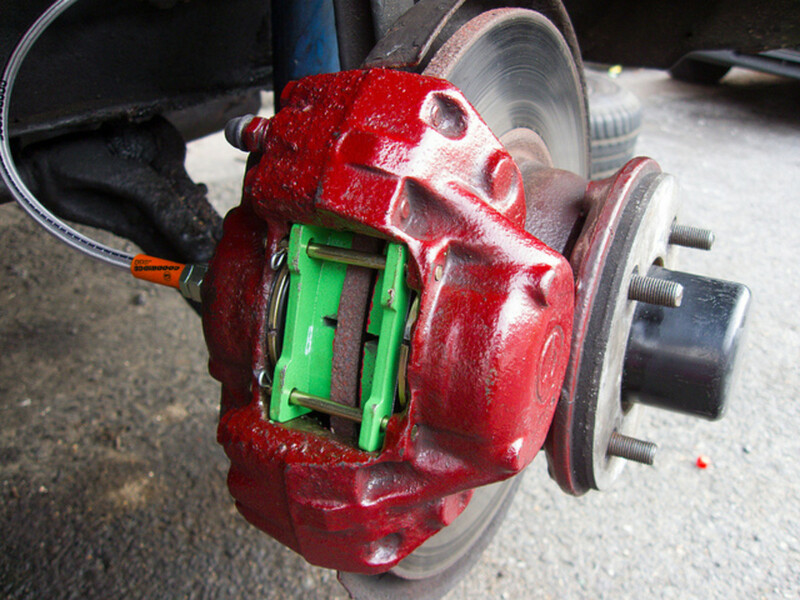 Another common source of brake noise is rust. 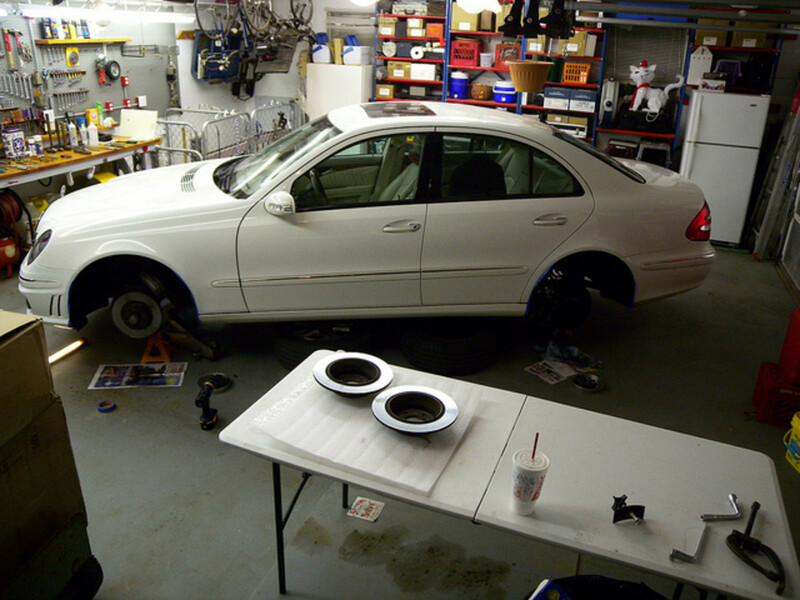 Look for rust buildup around the rotor, calipers, brake pads and related hardware. 4. "I Feel a Vibration When I Push on the Brake Pedal"
When this happens, you'll feel the steering wheel or brake pedal shaking or vibrating as you slow down or stop the vehicle. Rust or dirt on the rotor can cause brake vibration, as well as rotor or brake drum (rear brakes) uneven wear. In most cases, if you feel the steering wheel vibrating when you press the brake pedal, the problem is in one or both front rotors; if you feel the whole car shaking, one or both rear rotors or drums are causing the problem. 5. "My Brakes Get Stuck"
Brake problem signs can manifest as well even after releasing the brake pedal. You may feel one or more wheels holding you back as you accelerate (aka dragging brakes). 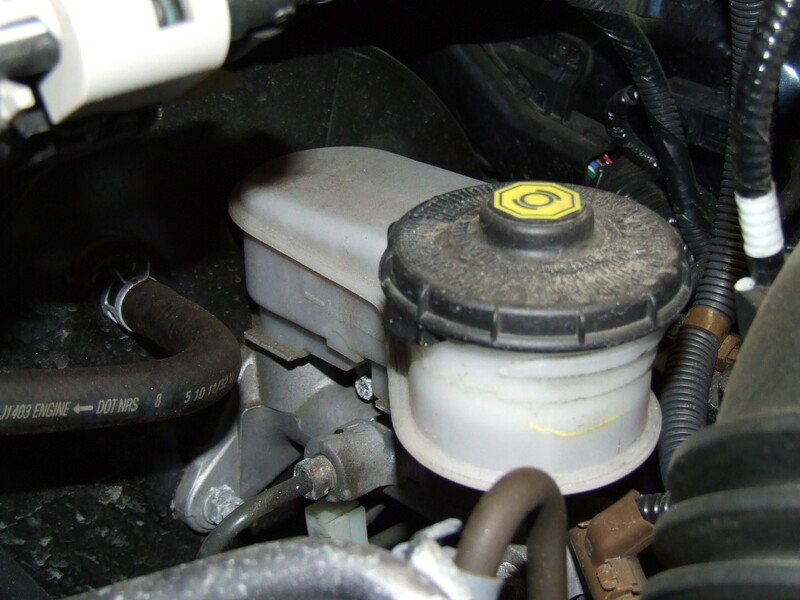 Usually, adjusting the parking brake or the push rod in the master cylinder solves the problem. Although less common, this may also indicate contamination of the brake fluid, a faulty drum brake mechanism, or frozen piston in a wheel cylinder. 1. "My Brake Pedal is Too Hard"
A hard brake pedal is an obvious sign of brake problems. And you can find several reasons for this. The brake booster for example. The booster multiplies the pressure you apply to the brake pedal to help you slow or stop your car. Thus, a failing booster, disconnected or damaged booster vacuum line can make it difficult for you to engage the brakes. Also, a hard brake pedal can point to problems with the brake master cylinder, which connects to the brake booster. Other frequent causes: A blocked brake line, contaminated brake pad lining, or inoperative brake caliper. 2. "My Brake Pedal Feels Spongy"
Contrary to a hard to push brake pedal, the pedal may feel soft as it sinks to the floor when you try to slow down or stop. This is usually a symptom of air in the brake lines, problems with the check valves (if equipped), master cylinder, or brake shoes (rear brakes) in need of adjustment. 3. "My Brake Pedal Drops to the Floor"
This is similar to a spongy pedal. Your brake pedal may work as usual as you brake, except that after your car has stopped, the pedal slowly drops to the floor. 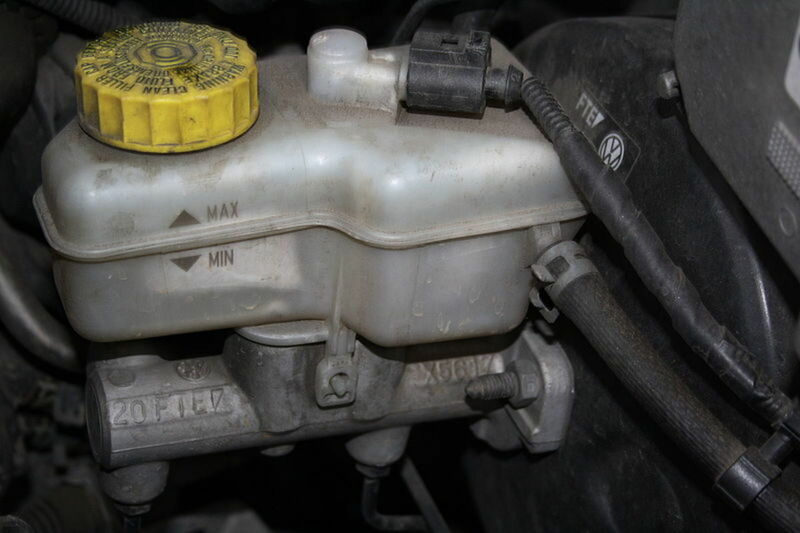 This usually points to an internal leak in the brake master cylinder or — if the brake fluid in the cylinder reservoir drops — a leak in the hydraulic system. 4. "My Brake Pedal Travels Too Much"
Another common problem: Your brake pedal almost reaches the floor before the brakes fully engage. This is usually due to a mechanical failure that may point to the wheel brake assemblies (rear drum brakes), brake adjustment assembly, or a brake master cylinder push rod that needs adjustment. 5. "My Brake Pedal Doesn't Do Anything"
Of course, the worst warning — or no warning — you can expect from your brake pedal is no action at all. You step on the pedal and . . . nothing happens! No slowing or stopping. If you have the chance to react, you'll remember to apply the emergency brakes to avoid a collision. This probably means your brake master cylinder is empty of brake fluid. Either the system has a leak or has been completely neglected. To avoid these and other dreading signs of brake troubles, it's a good idea to inspect the brake system at regular intervals, as suggested by your car manufacturer. Still, a brake system in need of attention won't necessarily give you a warning sign, and you won't know of potential trouble unless you bother to make a system inspection. 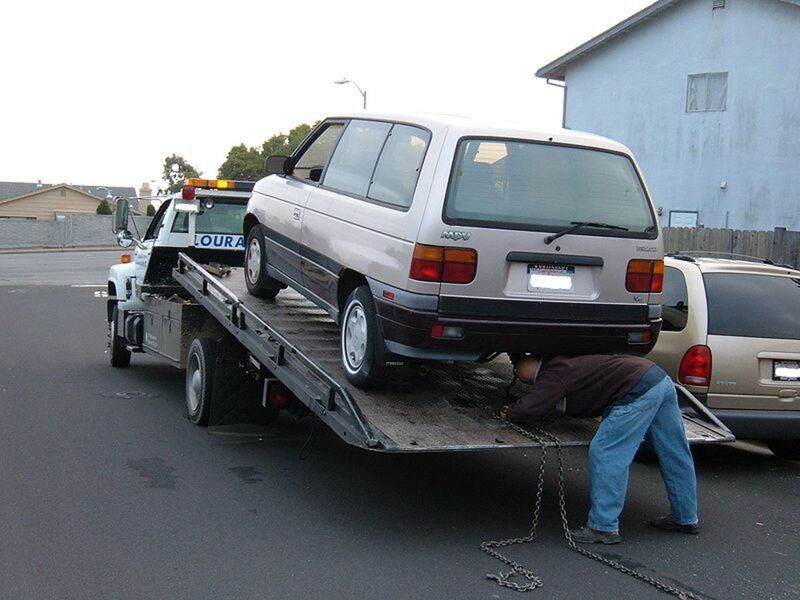 This is the advantage of having the service manual for your particular vehicle make and model. The manual gives you a description of the brake system in your car and tells you what parts to check, where they're located, and what to look for. You'll find some simple troubleshooting procedures when one or more brake-system warnings appear, give you help in locating system components, plus instructions on how to fix the problem when within the scope of the home mechanic. The manual also gives you a recommended manufacturer service schedule for your car brake system along with some simple checks you can do yourself to prevent serious problems. This not only has the benefit of keeping the brake system working trouble-free but big savings in repair bills. If you don't have one, you can buy an inexpensive aftermarket manual from most auto parts stores or online. Or, if you prefer, check the reference section of your local public library. Chances are you'll find a copy there as well. Whether you are dealing with squeaky brakes, vibrations, or some other brake problem symptom, don't ignore the signs. Try to get to the root cause as soon as possible to avoid expensive repair bills and to stay safe on the road. 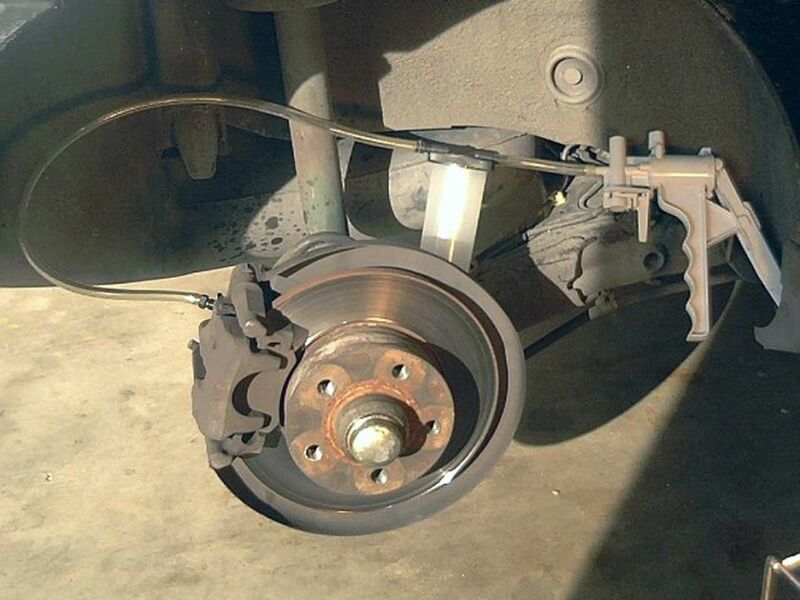 What has been your most common brake problem symptom? My brakes stop squealing when braking. Why is this? It could be that the brake pads are vibrating against the rotor, and stop making noise as they are fully applied against the rotor when you brake. Will my brakes squeak if I don’t bleed them? Usually, not bleeding the system makes the brakes feel spongy; the squeak sounds comes from the action that takes place among the rotor, pads and caliper. 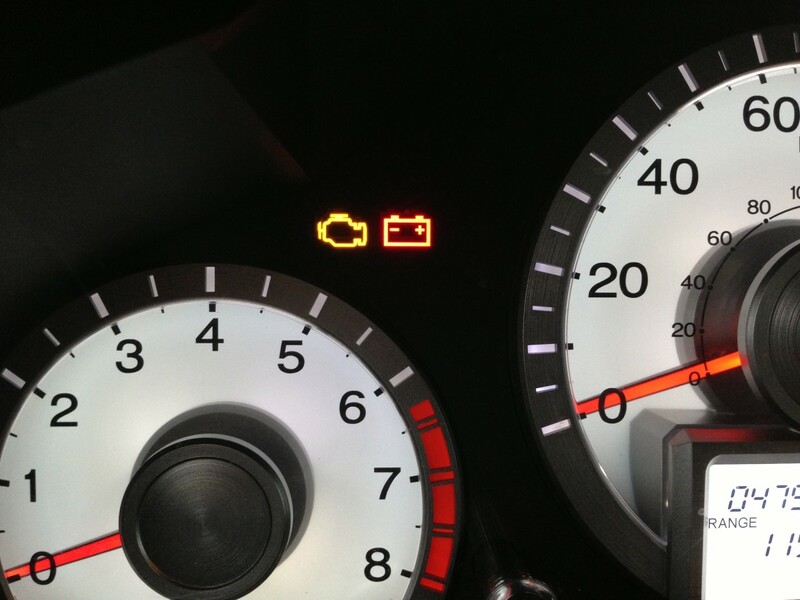 Honda “Check Engine” Light: What Could Be the Problem? When I was about 12 I inherited an old bike, rellay old bike. It had been somehow neglected. I took it apart piece by piece. Even each individual ball from the ball bearings, and the bearing surfaces I cleaned with gasoline, dried and packed with new grease. Same with the steering and the three speed sifter. I undid each bolt and each part and reassembled it. I think I had greasy components on the house for months, lol. How mom dealt with that I don't know but I had a pretty nice bike at the end. If you have rust in the frame you need to sand the metal clean. Do not ride a rusty frame. To sand the rust and the paint start with a 400 grit sand paper, to get most of it and then more sanding with a 600 grit or 800 grit to leave no scratch marks from the sandpaper. Use a mask while sanding. In the old days, you would use a torch to add some metal where the rust had eaten some away, now you can use a paste that will reinforce that, something like epoxy that actually makes the metal as strong as new. Then you need to prime and paint.You can put the chain in a coffeee can with gasoline to soak for a few days, if it has no wear, oil again and reuse. Instead of gasoline you can try cleaning it with a degreaser that is lemon based, better for the environment. You will need new tires, rubber desintegrates with age.At the end, even if the bike is not your size you could sell it and buy what will work for you. In the process you will learn quite a lot from such a project. Seems like too much work? It provably is.